Contents: 1. Amis and Father: The Rachel Papers and Experience. 2. Comedy Acts: Dead Babies and Success. 3. Metafictional Mysteries: Other People and Money. 4. Millennial Fictions: London Fields and Time's Arrow. 5. Midlife Crises: The Information and Night Train. 6. The Wild Dogs: Yellow Dogs and House of Meetings. 7. Cast of Crooks: The Pregnant Widow and Lionel Asbo. 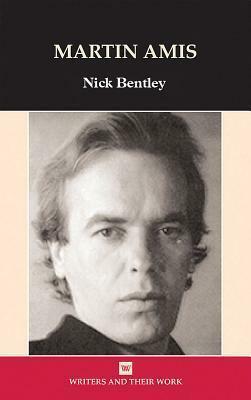 Nick Bentley is Senior Lecturer in English literature at Keele University, UK. He is author of Contemporary British Fiction: A Reader's Guide to the Essential Criticism (Palgrave, 2018); Martin Amis (Liverpool UP, 2015); Contemporary British Fiction (Edinburgh UP, 2008); Radical Fictions: The English Novel in the 1950s (Peter Lang, 2007); editor of British Fiction of the 1990s (Routledge, 2005); and co-editor of The 2000s: A Decade of Contemporary British Fiction (Bloomsbury, 2015), and Teenage Dreams: Youth Subcultures in Fiction, Film and Other Media (Palgrave, 2018) . He has also published journal articles and book chapters on a range of contemporary writers and topics including Monica Ali, Martin Amis, Kazuo Ishiguro, Doris Lessing, Colin MacInnes, Ian McEwan, David Mitchell, Zadie Smith, Sam Selvon, the city in postmodern fiction, fictional representations of youth subcultures, and working-class writing. He is currently writing a monograph entitled Making a Scene: Youth Subcultures in Postwar and Contemporary Fiction (Palgrave).